In this guide, I’m going to show you a great way to make a substantial money on YouTube with no initial investment, aside from the cost of creating your videos, and huge upside potential. These stats really convey how massive YouTube is these days, and not only that, but it’s a goldmine for those who know how to leverage the platform. Many a people have been made millionaires just by posting videos and building a following on YouTube. With that said, anyone can get their share of the YouTube money pie if they play their cards right; the strategy I’m about to detail below is a great way to do it. Posting videos of the hottest, most cutting-edge new gadgets and pieces of technology that you’re an affiliate for. These are the search results on YouTube under the keyword “cool gadgets”. See how many views these videos are getting? Most of the videos in these search results have over a million views, and most of them just feature a voice-over with stock footage and video that the video publisher didn’t even make themselves. 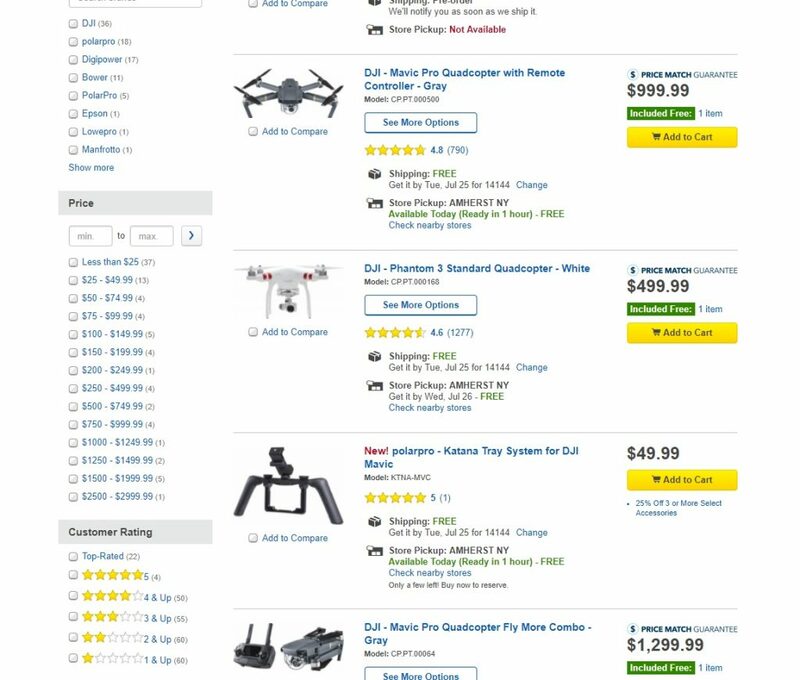 Just think if you could do something similar by researching products on Amazon, Best Buy, Walmart or a similar retail site, finding 5-10 hot new gadgets, making a video about them that you optimize well with keywords in the title and description, and putting affiliate links for the featured products in the video description. If you do this correctly, which is not difficult, even 5% of a million views (50,000) can make you a lot of money. You could build a brand on YouTube making these kinds of videos and building a following. This can be done, and it’s not rocket science. In case you don’t know what an affiliate is (although there’s a good chance you do if you’re reading this article), an affiliate is someone who promotes a product that isn’t theirs for a percentage of the sale price. For example, if an affiliate refers someone to a product on Amazon that they end up buying, or they buy any product at all on Amazon after being referred by you, the affiliate would end up earning 2-10% of the revenue (varies) of the sale. This is known as affiliate marketing. How would you become an affiliate to promote these kinds of gadgets, you might ask? 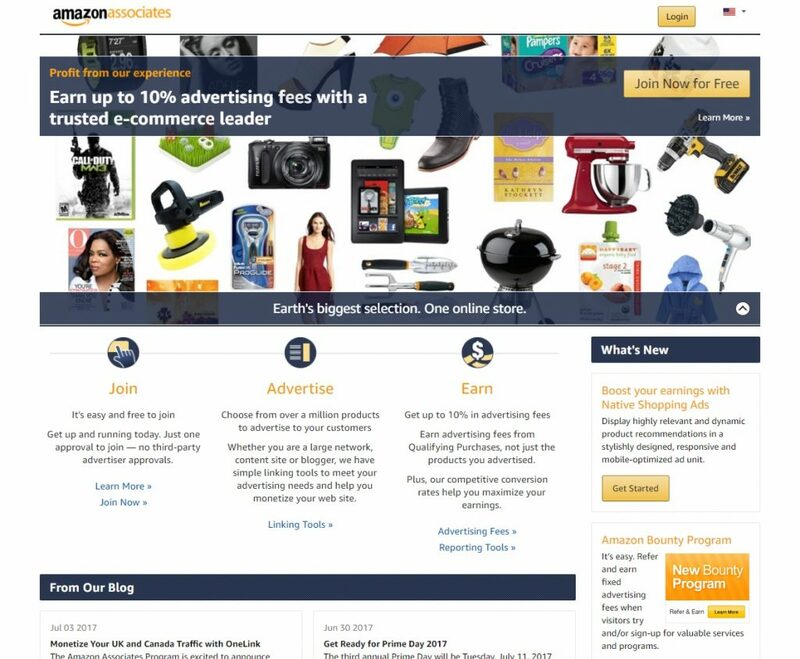 You just need to go to a tech retailer who offers an affiliate program like Amazon, Best Buy or Walmart, and sign up. You only need to sign up to one to get going, but it might be a good idea to sign up to all of them and post the ones on your YouTube videos that have the lowest price. Once you’re approved, you’ll be able to get the links to your desired products and post them right away. Each of the links I just posted above point to the affiliate program pages for the respective retailer. Note that you’re not limited to those three; there are plenty more stores that offer affiliate programs that you could look into. Many of the videos in the above search results don’t even have affiliate links, which means the channel owners are missing out on a ton of revenue. You, on the other hand, could come in with the proper knowledge of how to monetize that amount of views and profit handsomely. As an example, take a video that has 800,000 views. Assume that 1% of people viewing the video ended up clicking on one of the affiliate links in the description and buying something on the other end. Further suppose that the average dollar amount spent on such a purchase is $60, and the commission received is 8% of that — not at all unreasonable. It follows that the video creator would earn 800,000*0.01*60*0.08 = $38,400 just from that one video. Pretty powerful stuff, huh? How do you approach making these videos? Putting up stock footage and other footage that isn’t yours of the gadgets you’re featuring in your video, and doing a voice-over to match. Keep in mind that you’ll need to ask the necessary people (product creators, etc.) for permission to use any footage that isn’t yours. However, chances are that they’ll allow you to do so if you’re an affiliate promoting their products. Getting on camera and actually reviewing the product yourself, putting your own creativity and personality into it. For this you would need to actually get your hands on the products. The good news is that there’s a fairly simple way to do this without going out of pocket at all: simply purchase the gadget, whether locally or online, review it and then return it for a full refund. The ethics of doing such a thing might be questionable, but there are people out there doing this exact thing and it works! Besides, if you don’t tell your viewers that you actually bought the product you’re reviewing, you’re really not deceiving anybody. Regarding the second approach, the important thing is to just be yourself, be entertaining (in your own way) and be helpful. Creating quality videos in a minimum of 1080p, writing a review blurb in the description, including your targeted keywords in the title and sprinkled throughout the description, and using an attractive thumbnail are just a few things that will help you get indexed, get ranked, get exposure and build a following that will love your video content. You could do one product per video, or feature several of them in a “5 XYZ” or “10 XYZ” video. The latter might be tricky if you want to review each one because you’d have to buy and return each product, so it might be better to do single product reviews if you’re doing a personal on-camera review, and use stock footage you’re permitted to use in videos where you feature more than one product. What’s great about this is that once you get big, companies will notice you and come to you asking for you to review their product. You won’t have to buy and return products, and it will be a cinch to get permission to use stock footage in your videos. 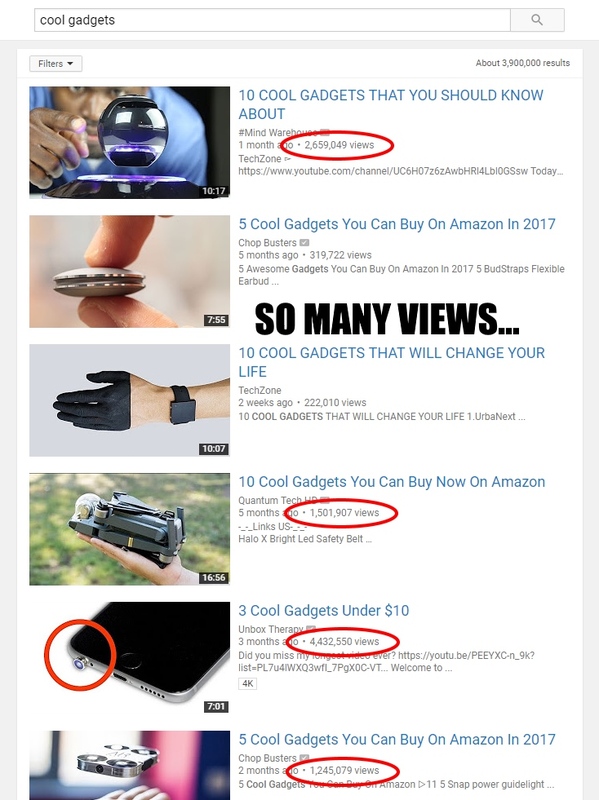 Step 1: Create a YouTube channel with a name and brand built around reviewing and showcasing the hottest, newest gadgets in the market. Step 2: Sign up for one or more affiliate programs with retailers that you like, that sell these cool gadgets and that have good pricing like Amazon, Walmart or Best Buy. Step 3: Research a collection of the hottest, coolest, newest gadgets that you’d like to feature in your videos. Step 4: Form an action plan for your video creation. Do the buy-and-return method when you can, and get a hold of stock footage you have permission to use otherwise. Step 5: Create your videos according to the guidelines I discussed above, making sure to include affiliate links to the featured products in the video description. Step 6: Continue creating more product reviews, gadget collection videos, and the like. Look at what other content creators are doing for new ideas. Grow your following, make more money and build your YouTube empire. I hope you got some value out of this post. There’s huge money to be made here. You just have to formulate an action plan and get on it! Next VideoBuilder Review + Bonus – Groundbreaking New App?